It’s impossible to enter this season without reviewing the 2018 Easton Ghost X BBCOR. In the baseball bat industry, there seems to be a superpower race among the top brands to produce the absolutely best bat in the market today. These can be seen in many of the flagship bat models of various premium brands. They offer truly astonishing performance, though the price can be a bit too exorbitant for some. A good example of this phenomenon is the latest 2018 Easton Ghost X BBCOR. Technical, Powerful, Supernatural. Experience the Power of X with the new Ghost X.
It’s not about whether it’s good or not. It’s about whether its attributes are worth the hefty price. What Happened To The Mako? Just in case you’re wondering, the Easton Mako is no longer around. The Easton Ghost X has replaced it. It is true that the 2018 Easton Ghost X shares a lot of similarities with the previous 2017 Mako Beast. They’re both 2-piece composite bats. They also both offer a huge barrel along with a very light swing. Yet there are also enough significant changes in the new 2018 Ghost X that it wasn’t really accurate to label it as a new Mako. The upgrades are too great, and that’s what necessitated the name change. The new Easton Ghost X comes in a wide range of versions. Easton has announced that there will be at least 6 different versions. There will be a 2 5/8-inch barrel diameter with -5, -8, and -10 drops, along with a -5 drop that comes with a 2 3/4-inch barrel. However, the focus of this 2018 Easton Ghost X BBCOR review will be on the BB18GX (BBCOR) version. As always, we need to start with whether you can legally use this bat. As it turns out, its BBCOR-certification makes it eligible for use in high school and college baseball leagues. This means that this is a Ghost X -3 drop version with a 2 5/8-inch barrel diameter. Other main characteristics that you have to know about are that this is a 2-piece fully composite bat. It also comes with a balanced swing weight, so it’s geared more towards contact hitters. However, some power hitters may like it too. This comes in a wide range of sizes, with 1-inch incremental options starting from 30 inches (27 ounces) to 34 inches (31 ounces). The look is also clean, with mostly white mixed with gold colors. It looks unaggressive, so it’s more of a “Clark Kent” vibe rather than a “Superman” impression. This bat features the exclusive Dynamic Feel System. This is an integrated design that’s meant to provide the “best in its class” performance along with superior durability. The smooth feeling you get with this bat upon contact with the baseball is due to this system, and it’s a feeling that may be unmatched among the many other 2-piece composite bats in the industry today. What is the 2018 Easton Ghost X BBCOR Made Of? This also uses the brand-new Engineering X Advanced Carbon Technology, or EXACT. This is the technology that resulted in the EXACT carbon in the handle, as well as the EXACT carbon composite material in the barrel. The use of this particular carbon composite material, along with the X-tended Barrel Design, results in an unbelievably huge sweet spot. Easton boasts that this makes the barrel of the Ghost X the longest in the industry. In other words, it has the biggest sweet spot you can get. The handle measures 31/32 of an inch. It’s made of EXACT carbon. What makes it particularly great to have in your hands is that it’s pre-wrapped with the legendary 1.4mm Hyperskin grip. This is the grip that gripped the world “pardon the pun”), when it first came out for motocross handles. When it was used for baseball bats, the improvements were astonishing. There’s probably no other grip that can surpass its secure hold and comfy cushioned grip except maybe the Lizard Skin grip which is found on the 2018 Louisville Slugger Select 718. The two pieces are joined together through what Easton calls its CONNEXION+ technology. This is a proven technology that works to bring the 2 pieces to work together magnificently. In fact, it was Easton that introduced the 2-piece bat technology way back in 1999. This connection technology efficiently transfers the energy back to the ball, while it keeps the handle isolated from the resulting vibrations. Now Easton has designed that ancient bit of technology, and it has launched the CONNEXION+ redesign. The idea is to make it much more durable than ever before. As the premier flagship baseball bat model from the eminent Easton brand, you can expect numerous advantages upon receiving this bat. Here are some of the major benefits. This gives you a truly exceptional feel that borders on the supernatural. It’s hard to describe what this “feel” is like to non-baseball players, but everyone who regularly hits at the plate knows what the feel is all about. This is the kind of feel that gives you the utmost confidence when it’s your turn to hit, and this confidence invariably leads to better hitting performance. It really makes a difference. Then you have the massive sweet spot. Easton says that this is the largest sweet spot among all the bats in its lineup, and it can certainly match well (or probably surpass) the sweet spots in other bats. The significance of the size of the sweet spot cannot be overstated. This is the area in the barrel that you aim to make contact with the baseball. Upon impact with the sweet spot, the ball travels with greater force, while the contact also minimizes the resulting vibrations that can travel through the barrel and into your hands. The size of this sweet spot makes it the “longest composite barrel” in the industry. This isn’t meant to be taken literally. It means that it has the biggest sweet spot among composite bats. The 2-piece bat design is common among the premium bat models. That’s because it offers more flex when the bat makes contact with the baseball. This creates something similar to a whip effect, which in turn leads to greater bat speed. What About The Swing Weight of the Ghost X -3 Baseball Bat? With the Ghost X, you can really enjoy this advantage as it offers a low moment of inertia (MOI) with a low swing weight. When you’re able to swing the bat much faster, you’re then able to impart greater energy on the ball to really make it fly. This bat design also reduces the vibrations to a considerable degree. All players hate the prospect of stinging their hands when they mishit the ball. But the way this bat was designed really keeps that risk to a minimum. The large sweet spot reduces the chances of a mishit, the EXACT composite is designed for vibration reduction, and the connection technology minimizes the vibrations as it travels from the barrel to the handle. The Hyperskin grip is also terrific. This is a favorite among many players, because the cushioning effect is just fantastic. It’s not just very comfortable. It feels downright luxurious. So when you’re hitting at the plate, you won’t have to be distracted by the way you grip the handle. It’s going to feel great. With the balanced swing weight and low swing weight index, you’re able to gain more control over the bat. This lets you swing the bat towards the spot in the strike zone that you’re actually aiming for. For contact hitters, this is an absolute must. But it’s also a boon even for power hitters, since more control is always nice. This is durable enough, for a composite bat. It helps that the connection piece has been redesigned precisely so that its durability can be improved. No 2018 Easton Ghost X BBCOR review will be complete without mentioning certain sticky issues that need to be acknowledged. There’s no such thing as a perfect bat, and that includes the BB18GX. We first need to acknowledge the elephant in the room: the price. No one can ever say that this is a cheap bat. 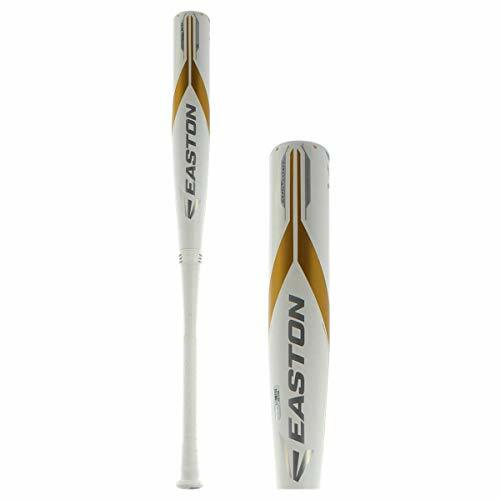 As the flagship bat of Easton, it certainly commands a very high price. This may be too expensive for some families without extensive financial belt-tightening, and that may be warranted only if the player is serious about baseball. For the more casual players, the price may be unjustified. While some may say that its performance is already hot out of the wrapper, the truth is that you get the best from the bat after about 150 swings of BP or a tee. You also need to be careful about bat storage. The materials in this bat require a temperature of at least 55 degrees F or a bit higher. Out of all 2018 companies that produce bats I’ve rated Easton baseball the lowest in terms of customer service. Over the years I’ve personally attempted to contact them via email, phone and social media with a very low response rate. If the budget is a big issue for you, then perhaps this isn’t the right one for you. You can find the rest of the best BBCOR bats. But if you can afford it or save up for it, the benefits you get are outstanding. You’ll have in your hands what’s effectively the biggest bat in the market. You’ll be able to control that big bat, and you won’t need to worry about the handle and the vibrations. So that’s the verdict: if you can afford the 2018 Easton Ghost X BBCOR, then go get it. That massive sweet spot is truly tempting, and an advantage that’s hard to ignore. Because of the customer service issue I listed above in the “cons” section I only recommend purchasing this on Amazon by clicking on the button below. They’re customer service is outstanding. Want this 2018 Easton X Ghost with Free shipping?